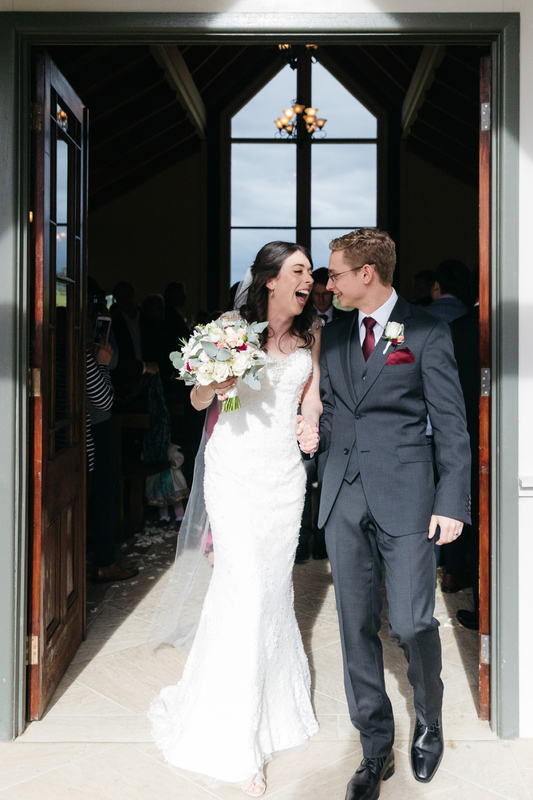 Alex and Rob couldn’t have been happier to be having an Immerse Winery Wedding ceremony inside their beautiful chapel on a day when the skies brought the rain. We had a brilliant view of the dramatic clouds out the window during their heartfelt and hilarious ceremony led by their friend and celebrant, Johnathon. We couldn’t stop congratulating them on being blessed with such luck as the guests ran inside for the reception and Alex and Rob braved the cold like absolute champions. Their humour never left and they had the best possible temperament in challenging conditions which is how we got these amazing shots!